Several major organizations that help protect the Great Lakes saw long-time leaders leave their posts in 2017. New experts and lawmakers will take the reins in 2018 to help protect the five lakes in the coming years, and, by all accounts, they have a tough job ahead of them. 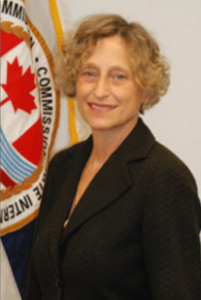 International Joint Commission (IJC) Chairman Lana Pollack, whose own future is uncertain under the new Trump administration, is not taking any of these changes in Great Lakes leadership lightly. The IJC is an international organization originally created by the Boundary Waters Treaty, signed by Canada and the U.S. in 1909. In addition to resolving disputes between the two countries, the Commission rules upon projects affecting boundary and transboundary waters. Great Lakes Now talked with some of the familiar names in the Great Lakes community about how and why they left, and talked with some of the people who are taking their places. Eder’s official title is Program Officer in the Environment Program. He will manage a grant making portfolio that focusses on addressing freshwater challenges, particularly those in the Great Lakes Basin. 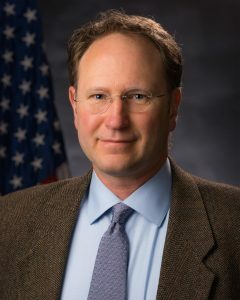 The Great Lakes Commission’s Deputy Director Tom Crane will serve as interim executive director until the commission hires Eder’s replacement. 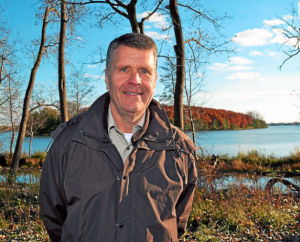 Cameron Davis has often been called the “Czar of the Great Lakes.” His official title until recently was Federal Interdepartmental Great Lakes Restoration Coordinator. 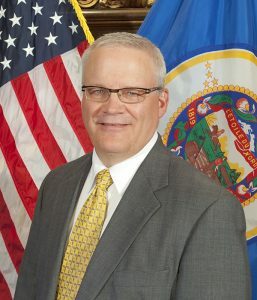 Davis coordinated the work of 11 federal departments and served as the Obama administration’s liaison to Congress on Great Lakes issues starting in 2009. However, Hartig is not disappearing from the Great Lakes landscape. He has been appointed a Fulbright Scholar in Canada to work between Canada and the U.S. on restoration of the Great Lakes. After his 6 month Fulbright, he says, “I will be working with the International Association for Great Lakes Research and the Aquatic Ecosystem Health and Management Society to continue my interdisciplinary research.” Hartig will also be contributing stories and essays to greatlakesnow.org on a regular basis. Tim Eder. Cameron Davis. Dave Ullrich. 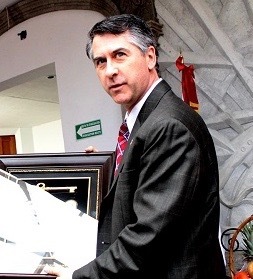 John Hartig. That’s a lot of losses of Great Lakes Leaders in just one year. Former Mayor of Racine John Dickert’s city will provide 7mgd of Lake Michigan water to a new Foxconn plant in a neighboring city within the basin but miles outside the city itself. It was reported last week that the Foxconn plant will use more water than the City of Waukesha per day and only return 70% to Lake Michigan. One concern Waukesha’s lawyers had discussed privately was that eventually the Compact Council members will realize that once a thousand straws are stuck into the Great Lakes, by exportation from bottles, manufacturers, and everyday consumers consumptive use, the Great Lakes will be drawn down and the rules will change. That is why Waukesha wants Lake Michigan water now despite their primary source of water having risen rapidly to it’s highest level since 1973 because of significantly reduced pumping throughout the region and other communities switching to Great Lakes water. They successfully got the application approved because they didn’t share all they knew and the DNR deceptively presented critical information about the 2014 Radium levels in the drinking water.